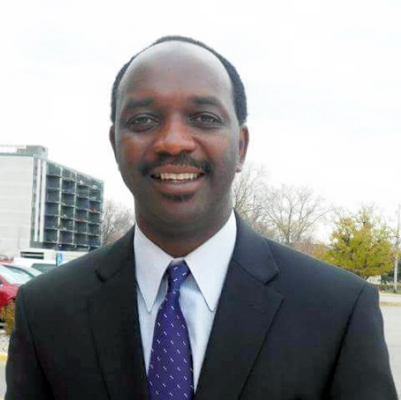 There will be a visitation today (November 12) for Henry Gichaba, a Kenyan-American that was found dead in his apartment on November 3 by Robbinsdale police responding to a welfare check call from a concerned relative, as first reported by Mshale. A funeral and memorial service that will double up as a fundraiser for funeral expenses will be held at the Kenya Community Church in Brooklyn Center on Sunday, November 15 at 4:00PM. The visitation will be at First Memorial Funeral Chapel in Brooklyn Park from 4:30pm to 8:00pm. It is located at 7835 Brooklyn Blvd, Brooklyn Park, MN 55445. Robbinsdale Police Chief Jim Franzen had told Mshale last week that “There was nothing to suggest foul play,” after Gichaba’s body was found and that the Hennepin County medical Examiner will give the cause of death later. A spokeswoman from the medical Examiner however told Mshale this morning (Nov.12) that “we are not ready to provide the cause of death at this time as it is undetermined.” It is not unusual for the medical examiner to provide preliminary results to the family of the deceased. “Whatever they (family) might be stating as the cause of death is inconclusive from our end,” the medical examiner spokeswoman said. Conclusive results can take up to a month, she said. Chief Franzen told Mshale this morning that the case remains open “as we have not yet received a report from the medical examiner’s office which can take sometime.” He said the department will determine how to proceed once it receives the report. Family plans to cremate his remains. He is survived by his estranged wife, Jackie and two sons, Taylor and Trevor. Minnesota Kenyans and Liberians mourn loss of two that shared first name.